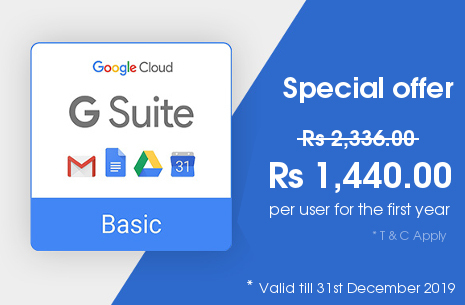 G Suite brings you all the benefits of an entire office suite of applications, online storage, and business-class professional email… all without the cost of purchasing any hardware, software, or IT staff. All Linux hosting accounts come with the latest version of cPanel. This makes life easy for you to do routine tasks such as setting up email addresses and managing MySQL databases. We understand that your website needs to be accessible for the visitors in order to generate sales. For this reason we offers 99.9% uptime guarantee. All our hosting accounts allow you to install popular software such as Wordpress, Drupal, Joolma and Magento in one easy step. Upgrading your software is just as easy!.